Avast has earned many accolades, but the best reward is the loyalty of our 435 million users. We enjoy serving the largest community of any antivirus company in the world — and we’re thrilled to be able to continue to protect you when you upgrade your PC to Windows 10. Windows 10 provides very basic protection. 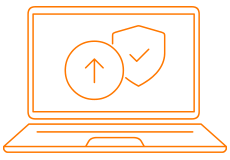 Avast Antivirus secures not only your PC, but your entire home network as well — and it comes with advanced features such as Software Updater, Passwords and more. With Microsoft and Avast in your corner, there’s not much that can get in your way. With Microsoft supporting Avast Antivirus to work on all Windows 10 machines, it sends one clear message: we’re respected for what we do. That’s why industry experts like PC Magazine and PC Advisor rate us highly too. Avast provides all the essential antivirus protection you need for your Windows 10 PC. But we don’t stop there. We offer extra security features such as a password manager, remote assistance, browser cleaning and more — yep, you guessed it — completely free. We’re proud to protect millions of Windows 10 PCs. But you don’t have to take our word for it: Check to see how many PCs we’ve protected this week alone. Avast prevented virus attacks on Windows 10 PCs in the past week. Avast prevented virus attacks on Windows 10 PCs in the United States just last week. The United States’ Windows 10 PCs are the third most attacked in the world. If you’re planning on upgrading from older versions of Windows, such as XP, Vista, 7, 8 or 8.1, we’re ready to keep your new Windows 10 PC virus-free. Just make sure you’re running the latest version of Avast before you upgrade your machine, and when you finish the transition to Windows 10, you’ll find us there, right where you left us, ready to protect your PC and everything you hold dear in it. It doesn’t take much to have a machine protected by Avast. All you need is a PC with 256 MB+ RAM and 1.5 GB of hard disk space. If your Windows 10 PC has that (which it very likely should), you’ll be good to go. 1 Download the installer by clicking here . 2 Right-click the installer and click “run as administrator”. 4 When the progress bar vanishes, your PC is protected. And that's it! Your PC is 100% secure. How to best protect Windows 10? Avast provides the best free antivirus for Windows 10 and protects you against all types of malware. For complete online privacy, use our VPN for Windows 10. Why use antivirus software on Windows 10? Windows 10’s security is basic and oftentimes insufficient to protect you from every danger online. Avast Antivirus is more than equal to the task, however, and can offer your PC full protection without compromising its performance. Additionally, we offer features that your built-in protection simply doesn’t have, such as a password manager and remote assistance. Is Windows Defender enough to protect my PC? No. Hackers and programmers of malware become intimately familiar with built-in antivirus software, like Windows Defender, and they design their programs to work around them. Additionally, the built-in software gets updated less frequently than dedicated antivirus software, so it can’t protect you from the latest threats. While it will protect you from certain dangers, for top-of-the-line, full protection, you need Avast. Will Avast have any negative impact on the performance of my Windows 10 PC? Not at all. Avast is designed from the ground up to be lightweight and accessible, and to protect your PC without leaving so much as a dent in your computer’s performance. Just install it and enjoy a PC free from malware and other threats.